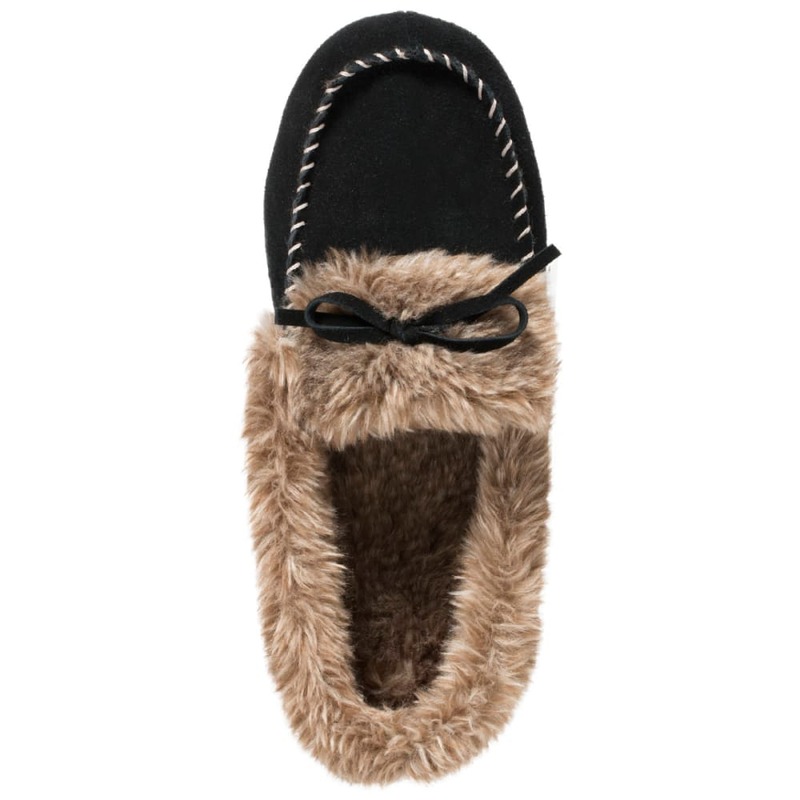 Treat yourself to luxurious, ultra-soft faux fur with Acorn's new faux fur-lined moc, featuring fashionable trim and lining in a classic moccasin silhouette. 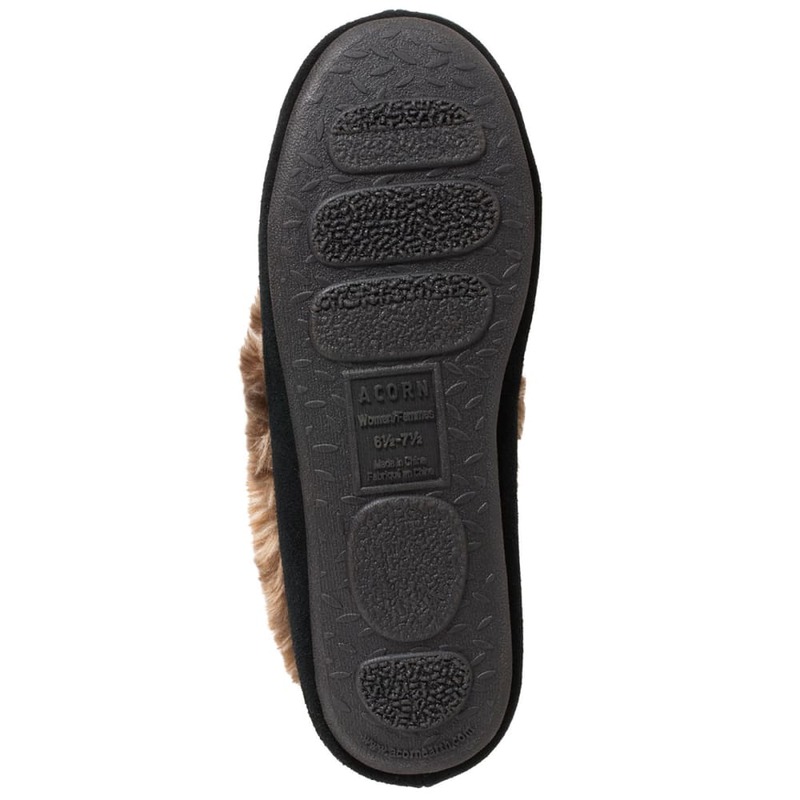 This full-coverage design enhanced with Cloud Contour memory foam technology and built-in arch and heel support ensures total comfort, support, and fit. Pamper your feet with every step: from the house and bedroom to the spa and in travel, Acorn will take you on every après adventure. 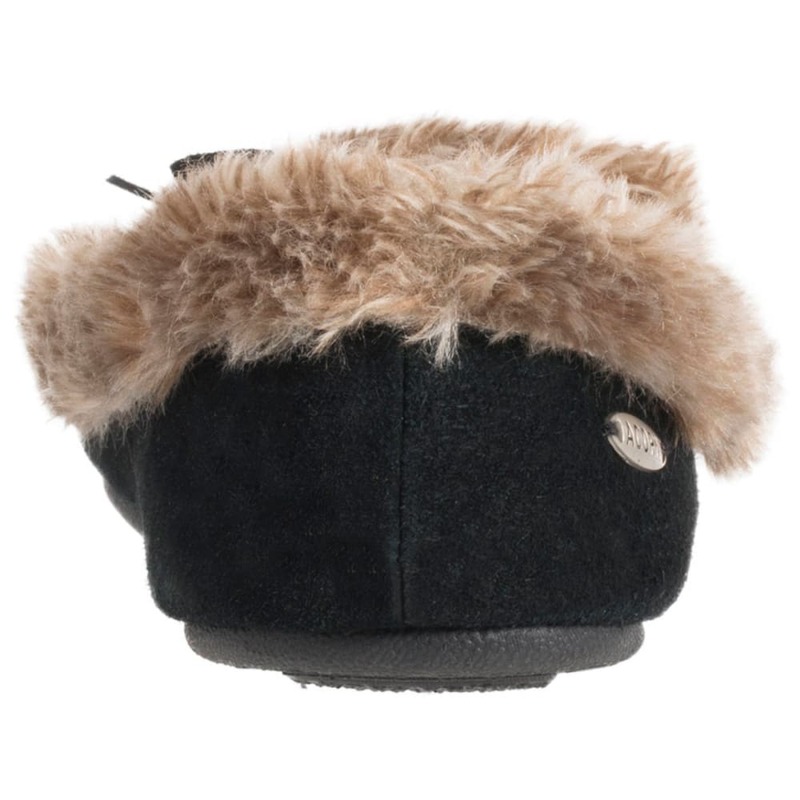 Materials: Genuine suede upper, faux fur lining, and durable rubber sole for indoor and outdoor use.